Get Even is a great example of a promising new game that has been both completely misrepresented in its marketing, and that doesn’t manage to fulfil the potential of its own premise. Having been sold to gamers as a first-person action title, any players who might have been intrigued by this psychological thriller are likely to have missed the boat completely. Even categorising it as such doesn’t really cover this unique experience, which sadly gets as more wring than it manages to get right. Playing as Cole Black, you are tasked with saving a kidnapped girl from an unknown location. Things soon get weird following a failed bomb detonation, and you awake in a requisite spooky abandoned asylum – not only with a rather major case of amnesia, but also with a creepy customised Virtual Reality headset strapped onto your face. Not exactly the ideal situation that anyone would want to wake up to. From here on out, the main thrust of the gameplay alternates between exploring the asylum and using the VR headset to revisit buried memories and re-play them from a different point of view - to work out exactly what happened to the kidnapped girl, why Black was there, and work out how the situation came to be. This scenario successfully grips you, keeping you on the edge of your seat to find out more, but the game fights against itself as hard as it can to ruin its own early good work. Most new discoveries do more to confuse matters further than help you uncover the truth – but still the desire to solve the mystery remains. The overly-complex swathes of information that you need to sift through and the thoroughly uneven pacing both combine to make investigation feel like a massive chore, only punctuated by an odd burst of action, or finding a remote hotspot that will push the story onwards. Action scenes are too often made up of cheap jump-scares and or stereotypical horror set pieces that are more likely to make you snigger than scream - and don’t get me started on the fighting. Gunplay is unsatisfactory and the controls poor. The innovative Cornergun (which does exactly what you imagine, and lets you shoot around corners) is useless in most situations, only really coming into play when on-screen tutorials ask you to use it – which of course removes any excitement in deploying the weapon. A lack of melee combat options further hurts the title, especially when you find yourself battling unarmed opponents in confined spaces. Get Even has plenty of early promise and there are some interesting gameplay devices at work. Getting the chance to re-play different memories and discover new information is a clever idea, offering the chance to make different choices that will alter the outcome of the game. This is all let down thoroughly by the disappointing combat, uninventive action scenes and worn-out horror tropes. If the gunplay had been removed entirely and the focus concentrated more on the aspects of the title that work well, perhaps Get Even would be a more attractive prospect, but as it stands – this is not a title I could easily recommend. 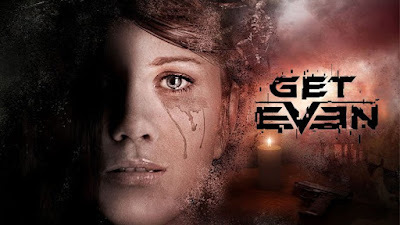 Get even is a good game. Though seeing the reviews i was hesitant in playing it. But now that i have tried it , i was happy . I Like the game.